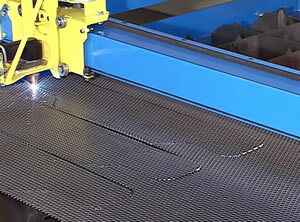 Digital Height Control or Torch Height Contol is a new feature on the DHC2 Model plasma cutting table. improvements over the original model. DHC2™ achieves high quality plasma cuts by controlling the height of the torch with arc voltage feedback. The cutting tip hovers a precise distance above the metal, moving up and down to follow variations in the sheet. Because DHC2™ maintains a gap between the cutting tip and the material, tip hangup is avoided. In addition, DHC2™ raises and lowers the torch between cuts to avoid obstacles. 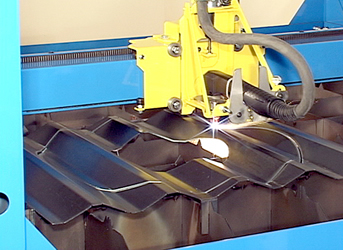 At the start of each cut, DHC2™ waits until plasma cutting is detected before beginning motion (instead of just waiting for a set time delay). 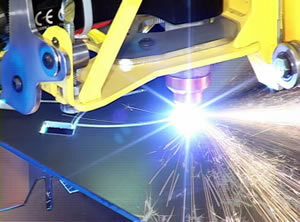 DHC2™ also stops motion if plasma cutting unexpectedly terminates. This means more consistent, automated cutting. 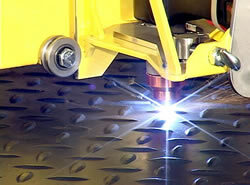 DHC2's™ careful control of the torch height greatly extends cutting tip life. All DHC2™ functions are integrated and controlled by the PlasmaCAM™ software – providing automated operation that is easy to adjust.